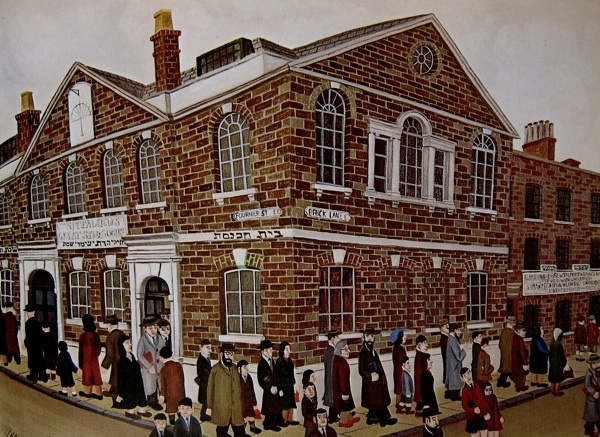 I have been working as a guide in the East End for over twenty-five years, although I am not old enough to remember before the war when it was still known as ‘Little Jerusalem.’ Back then every street sign was written in Yiddish and over one hundred thousand Jewish people lived here. My paternal grandparents were part of this vibrant but poor migrant community. 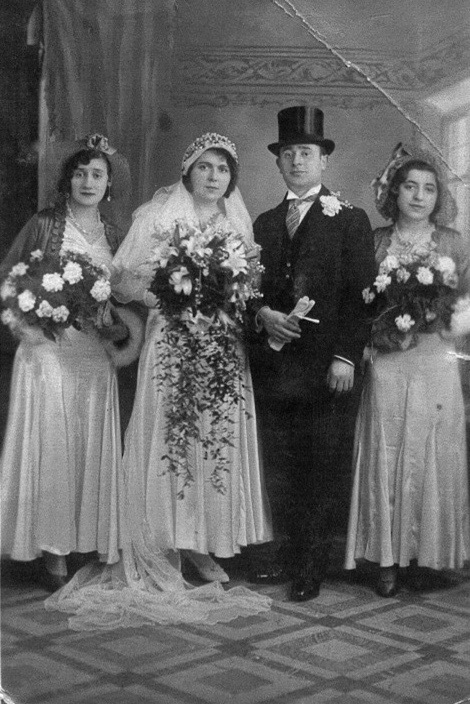 They met at English speaking classes in Brick Lane in 1930 when settling in Whitechapel after escaping religious persecution in Poland. They had their first watchmaking shop, Gedaliah Lichtenstein’s on Brick Lane. 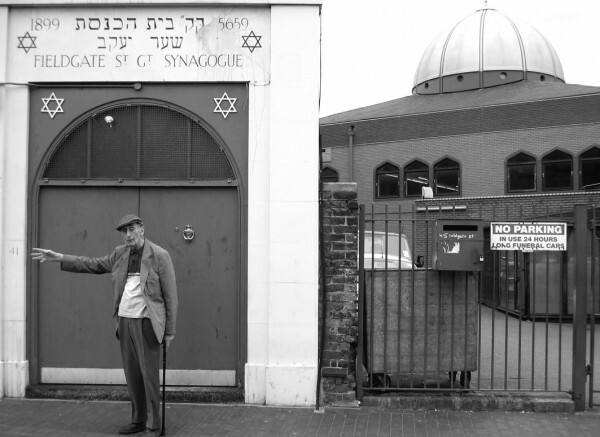 I moved to the area in 1991 to find out more about the thriving world of the Jewish East End my grandparents had described but, by the time I arrived, most traces of this vibrant community had already started to disappear. Without expert guides, it is almost impossible to get any sense of the Jewish past in Brick Lane. I learnt everything I know from the person who single-handedly put the story of the Jewish East End on the map – the legendary historian Professor Bill Fishman who grew up in the area, had great affection for the place and died last year. I met Bill shortly after I moved to Whitechapel and he quickly became my mentor and my friend. Whenever I had the opportunity, I would join him on a walk around Spitalfields. I loved to watch him standing on a street corner, enthralling a group with personal memories and anecdotes about the characters and events that made up the mythology of the area. 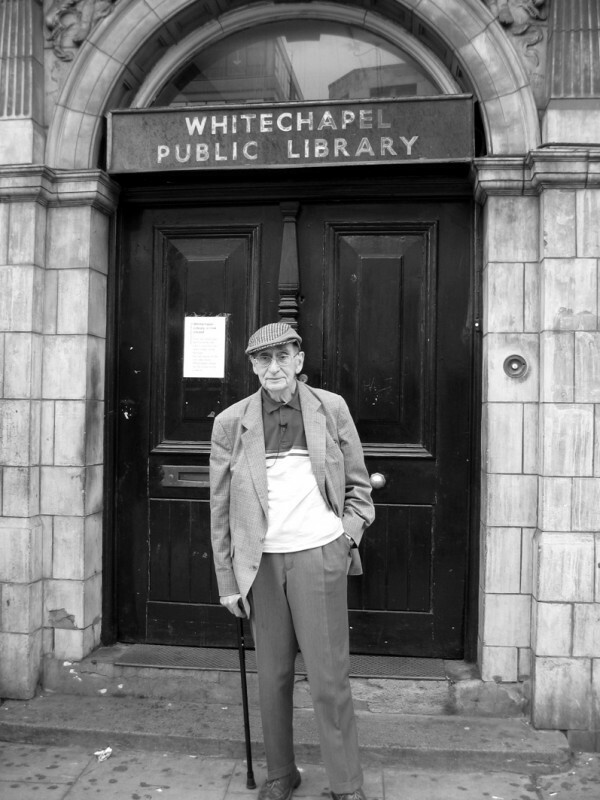 Every time I talked with Bill, he brought the streets of Whitechapel alive for me with stories from his own childhood, myths from before he was born and tales from his contemporary walks. We would stop in Fashion St, Bill showing me the flat where the eminent post-war playwright, Arnold Wesker, was born or reading the description of the street in the opening chapter of Izrael Zangwill’s classic Children of The Ghetto. 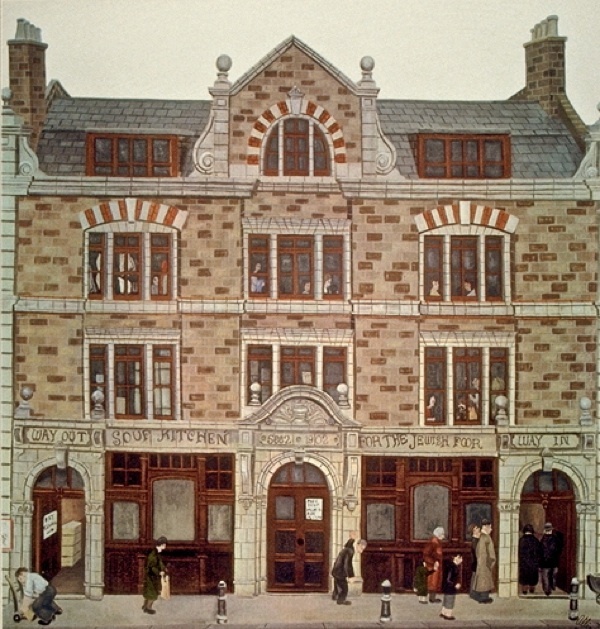 But his favourite stop was the East London Mosque in Fieldgate St situated directly next door to one of the last functioning synagogues in Whitechapel, which sadly has now closed down. ‘This is a unique phenomenon’ he said to me the last time we were there together, ‘to have a Muslim settlement and a Jewish settlement check by jowl, the only other place in the world you might find this combination is in Jerusalem.’ Bill was touched by the fact that during Yom Kippur a few years ago, the Imam ordered the builders at the mosque to stop work out of respect for the worshippers at the synagogue. ‘The world should learn from this example’ he said. Every Friday night as a child Bill accompanied his grandfather to the local synagogue - ‘if noise came from the congregation whilst the rabbi was talking Zaida would bang his hands on the bench and shout, “sha sha” and people would keep quiet he commanded respect.’ His grandfather instilled the Jewish principles of rachmones, (compassion) and tzedoka, (charity) to Bill – ‘On many occasions I’d walk with him and his immediate response when being stopped by someone less fortunate than himself was to press a handful of coins into their hand with a solemn declaration in the Yiddish vernacular, ‘thank you for asking me.’ These simple acts of kindness summed up for Bill the ‘spirit of the Jewish East End.’ His writings and memories leave a legacy for future generations, he really was the last of the Mohicans, we can only attempt to follow in his footsteps. 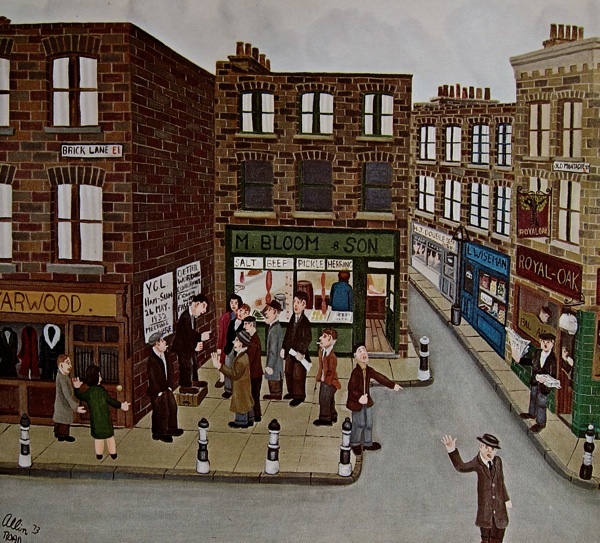 As part of the Immigrants of Spitalfields Festival Rachel will be leading a walking tour on Sunday 19th June at 11am, and telling tales from the Jewish East End at 4pm at Sandys Row Synagogue with music and song from Khlezmer Klub. Your article was so enlightening and of such a great rich history. As a Christian I have an appreciation of the traditions and teachings in the Old Testament. the Jewish (Yiddish) people. These were resourceful and made their own way in life – not relying on the government of the day to provide but contributing to the fabric of society. A lovely reminder of my old friend Bill Fishman. Thank you for a moving trip down memory lane. I’ve lived in the Fieldgate Street area of Whitechapel for four decades now and still call it LJ, or Little Jerusalem, being as there’s the East London Mosque right next to the old Fieldgate Street Great Synagogue (sadly, but inevitably, now closed) and also St Boniface – the German Roman Catholic Church just a few steps away. The area still retains its identity of a close-knit and lively community: different peoples now perhaps, and with a large population of passers-through, but still with its own unique atmosphere and flavour. Lately, too, some of the uglier shadows of yesteryear have been rising again in the shape of regular unwelcome visits from far-rightist groupings appearing on the streets around the mosque, and there are the also extremist Muslim groupings from outside the area who come in to stir things up. Many thanks for this and so good you’re walking in old Bill Fishman’s footsteps. Fascinating. Lovely to see the photographs of Bill Fishman. I would recommend Rachel’s books on the East End to everyone! My daughter Ariel bought me ‘On Brick Lane’ for my birthday. I started reading it, and wow, the memories came flooding back! I was born in the London Hospital ( now the Royal London ), and spent my early childhood years in the East End. With the demise of the docks in the late 60s, we moved to Eastbourne. In January 1978, I was back in the East End as a young man of 22, fresh out of university. I arrived initially as a student teacher, but soon dropped out of that to become fully involved with the Tower Hamlets Arts Project, or THAP, as it then was ( subsequently Eastside, which seems sadly prosaic by comparison!). I had a fair few curries at the Nazrul! I knew Alan Gilbey very well. His lightning sketch of a vampire with a stake through his heart still hangs above my head as I write this, on the other side of the world! Alan and his friends had a street theatre group called Controlled Attack, whose shows I photographed on a number of occasions. It’s good to see he hasn’t lost his wonderful acerbic wit with the passing of the years. I’m pretty certain I crossed paths with Bill Fishman a time or two, in the bookshop if nowhere else. I met Sally Flood at writers’ group gigs, and then of course there was the inimitable Gladys McGee, who got on well with locals like Alan, but took a dim view of university-educated hippie interlopers, as she saw some of us. Gladys used to perform in a gold lame jumpsuit and called herself ‘Gladdie Glitter’. I saw her perform her wonderful poem ‘Empire Day’ umpteen times, and never failed to get a kick out of it. I also knew the Joneses. Well, Denise mostly, because she worked in our lefty bookshop, first on Watney Street and then on Whitechapel Road. Dan always seemed some how distant, a bit like God, operating on some unknowable higher plane ( but doing wonderful things for the community ). It’s funny the things that stick in the crevices of your brain: I remember one time we had a day trip to London Zoo, and I carried Polly Jones on my shoulders. She would have been three or four then. She would have to be pushing towards 40 now, I suppose! 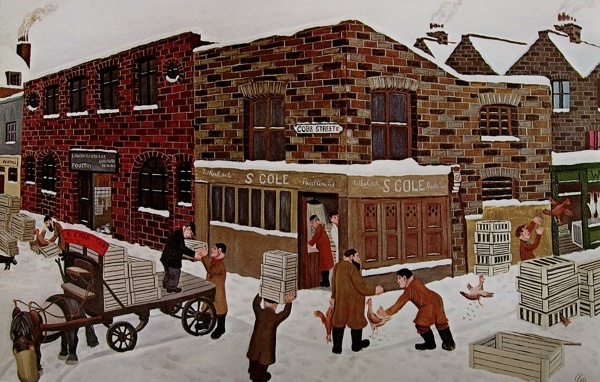 In 1980 and 81 I worked as assistant to artist Ray Walker on a giant mural in Chicksand Street. ( Dracula? Really? ) I remember going to one of the cafes in Brick Lane for teas. They had the paper cups lined up ready on the display cabinet, with sugar already in them – tea without sugar was simply not an option. Ray died very unexpectedly of a heart attack in 1984, just before I came to Australia, and I understand the mural is no longer there either. Later, in about 1982, I was asked to photograph people visiting the National Front stall in the market from the vantage point of a top floor room across the street. I set up my camera in the window and happily snapped away, convinced I was invisible in the darkened room. Then just as they were about to pack up for the day, one of them turned and looked up at my window and waved. So I suppose I wouldn’t have been much good as a spy. I realised some years ago that things had changed around there when I heard that Posh Spice was buying her clothes in Hoxton, once a total no go area for hippie types like me. But your description of what Brick Lane is like now makes me think I don’t want to see how it’s changed. But your book opened up so much more about the area, from lion cubs to Kafka ( wow! ). Thank you, thank you, thank you, for your wonderful work, appreciated far more than I can say.